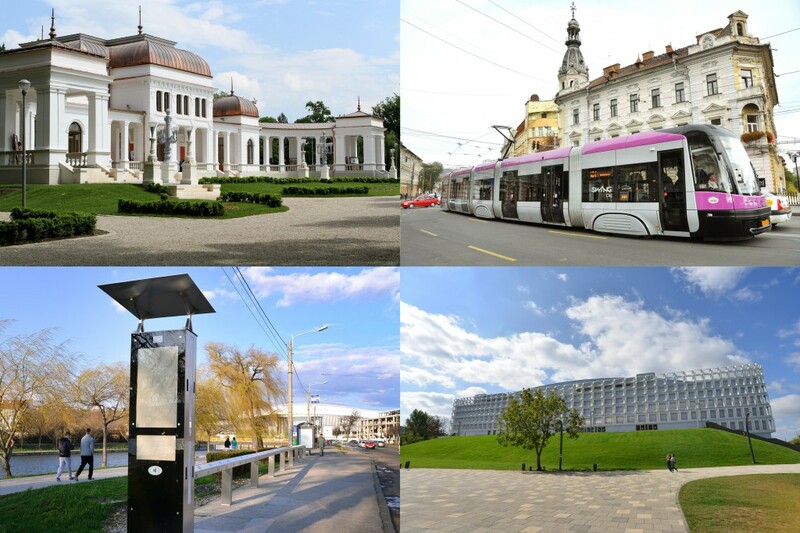 According to the Institute for Public Policies, Cluj-Napoca is the best city in Romania in terms of public services performance and management. 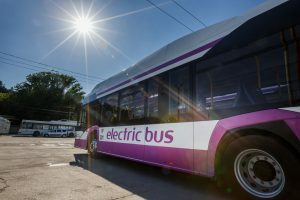 The evaluation was based on several indicators such as: public transport, financing and co-financing, termofication, etc. Cluj-Napoca was credited with a special mention for the implementation of the pilot Participatory Budgeting process. The initiative aimed to involve the community from one neighborhood in the decision making process. As a result, the community decided that Cinema Dacia is the highest priority for investment. Since then, the project extended to the whole city and happens online. Award offered for a strong innovative vision and landscape: development of an exemplar OI2 innovation city in Europe. 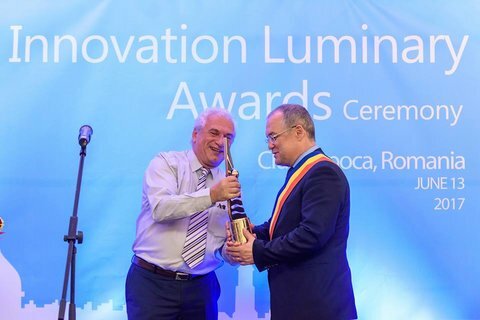 Association of Romanian Municipalities Gala, Bucharest, November 2017: The “Digital City” award “Excellence in Digitalization” has been offered to the municipality of Cluj-Napoca as a recognition of the efforts and results in terms of digitalisation and innovation in the administrative sector. Cluj-Napoca City Hall has implemented a series of digital procedures, some of which unprecedented in our country, and remains committed to constantly develop a more accessible and efficient administrative process. Sport has always been an important dimension in the development of Cluj-Napoca, not only through the moral values it holds, but also for the healthy lifestyle it promotes. Both national and international events held in our city, alongside the state-of-the-art facilities destined for the citizens create, without any doubt, the proper environment for sports culture and the field’s development. 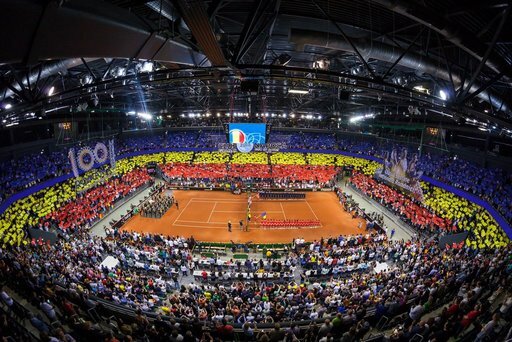 This vision, has not only brought tremendous sporting events in our city, but also, it helped Cluj-Napoca obtain the title of European City of Sports in 2018. Therefore, Cluj-Napoca became one of the European cities that promotes applied policies in sports. The continuous development of sports infrastructure transformed the city into a sports node, where the opportunity to attend high quality sporting events merges gracefully with the possibility of practicing sports in state-of-the-art facilities. 91% of the citizens say that shopping in Cluj is really accessible. 67% of the citizens consider that it is easy to find a job in the city. Cluj is the second city in terms of job opportunities at European Level. 92% of people say Cluj-Napoca is a safe city. After the capital, Cluj-Napoca is the city with the highest cultural vitality in Romania. according to the Center of Cultural Research and Consultancy. Their conclusion is based on indicators such as: budget spending in terms of culture, cultural activities, cultural participations, specialized human resources, the NGO sector and the cultural-creative industry. A 30% increase in the tourist numbers in 2017 – the highest in Romania – means that Cluj-Napoca is a must visit place. In fact, different travel publications and sites recommend Cluj as a tourist heaven. USA Today tips Cluj as the “unofficial capital of Transylvania” and a must see location for youth people, as it is a former Youth Capital. CNN and TripAdvisor recommend Cluj for its artistic and cultural life, while El Pais recommends our city as a destination for “every pocket”. Vogue notes that Cluj is a wonderful place – just the way it is, while LonelyPlanet, Skyscanner and Michelin Guide recommend Cluj for its boem, charming lifestyle. According to a study of the World Bank, 15% of Romanians would like to move in Cluj-Napoca. What is more, according to Forbes Romania, Cluj is the Romanian city with the most dynamic development in the past decade. 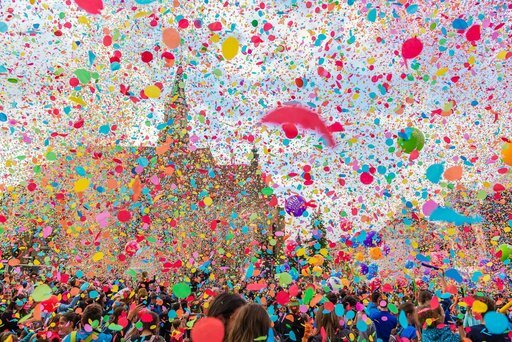 European Youth Forum awarded Cluj-Napoca the title of European Youth Capital in 2015. This strategic program represents an important step for our city towards the title of European Capital of Culture in 2021. 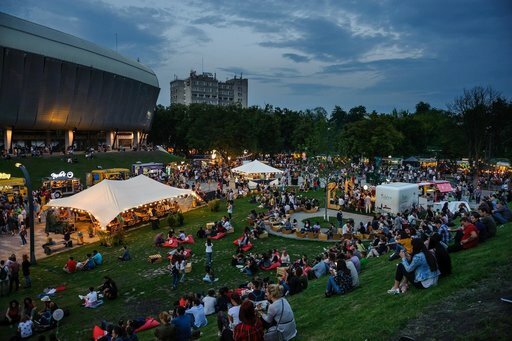 By becoming the European Youth Capital in 2015, Cluj-Napoca, the “heart of Transylvania”, has been awarded the chance to fully showcase its youth-related cultural, social, political and economic life and development in 2015 and beyond. 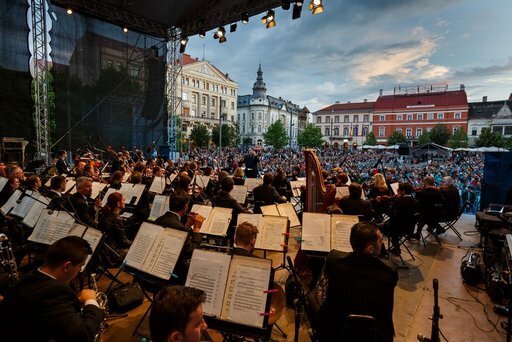 The program is a complex one and will bringing together different social actors interested in reflecting the rich cultural diversity of our city and of the entire region, as part of the European cultural diversity. According to the audit of city life in the European Union, conducted by Eurostat in 2014, Cluj-Napoca ranked first as the most tolerant city in Europe when it comes to welcoming foreigners to move to their city. The study shows that over 90% of Cluj citizens believe that the foreign presence has a positive impact on the city. Also, 76% believe that the foreigners are well integrated into the community. The “Quality of life in cities” report, done by Eurostat, shows that Cluj-Napoca is ranked first on the list of the friendliest cities in Europe towards foreigners. The study was conducted in 79 cities in the European Union and the data reflects the situation as of 2014. 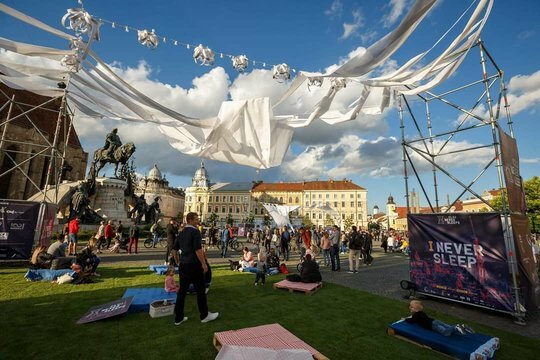 Prestigious newspapers, such as The New York Times (Cluj-Napoca is called a “hub for art”) and blogs-Huffington Post (one of the twelve global cities that will “shake up the Art World in the 21st Century”), have included Cluj-Napoca on a very exclusive list of cities that will have an important saying about the future setting of contemporary art. This can also be noticed in that fact that a team of young artists brought a breath of fresh air to contemporary art and transformed our city’s former paintbrush factory into a creative space. 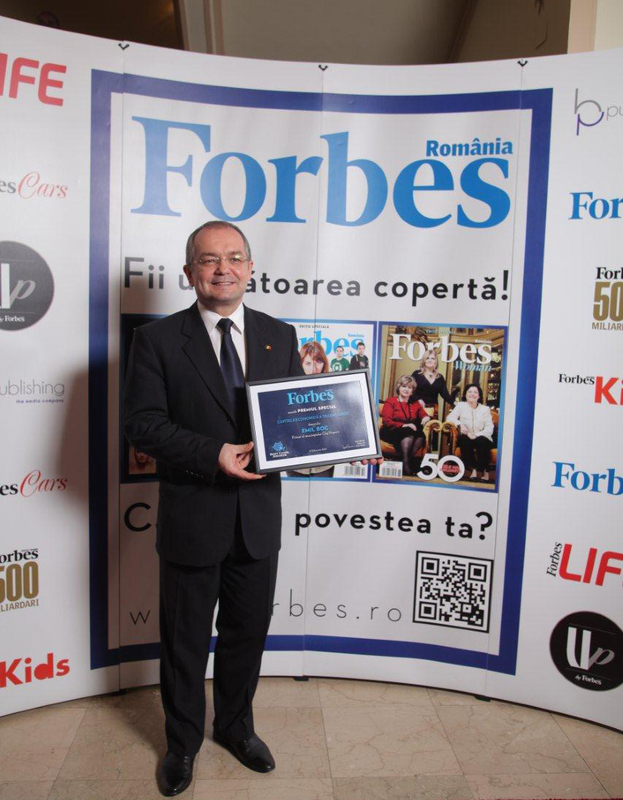 Within the “Forbes Romania – Best Cities of Business 2014” Gala, the prestigious economic magazine awarded Cluj-Napoca the title of “Economic Capital of Transylvania” in 2014 for the economic development of the city in recent years. According to a study conducted by KPMG consulting company and the Management Authority for the Regional operational Programme (AM POR), Cluj-Napoca was named the most attractive growth pole in Romania. 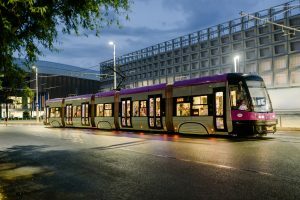 The city was also named as a good practice example at European level regarding the way in which it managed to absorb the funding for growth poles.